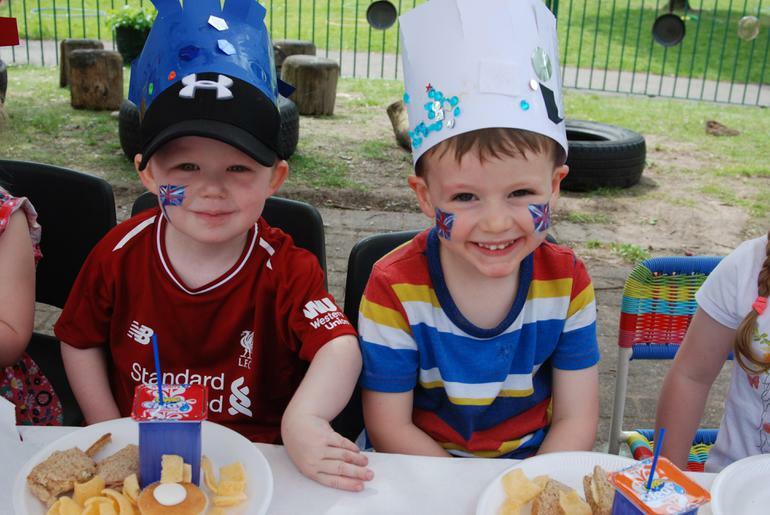 Click on the subpages below to see more photos! 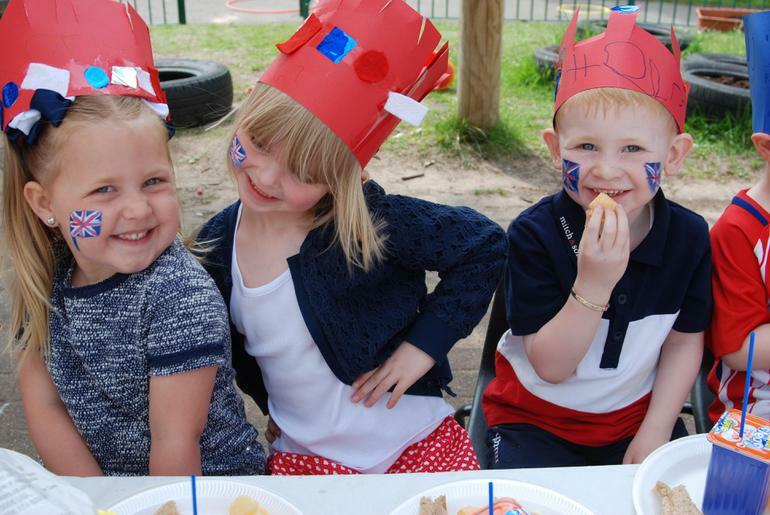 The children made crowns using red, white and blue paper, card, gems and felt. 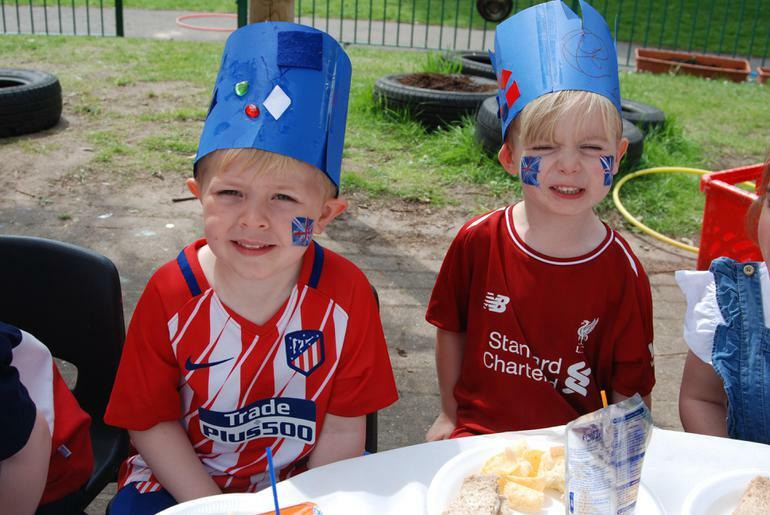 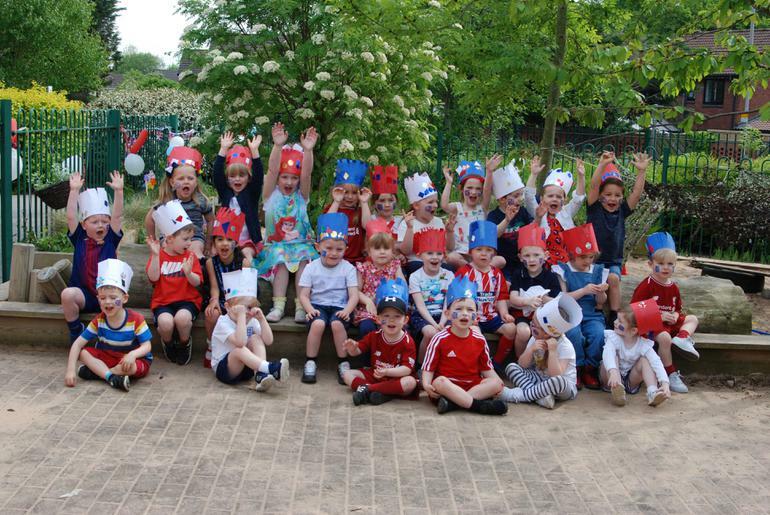 They dressed in red, white and blue clothes and many had flags painted on their faces at Nursery too. 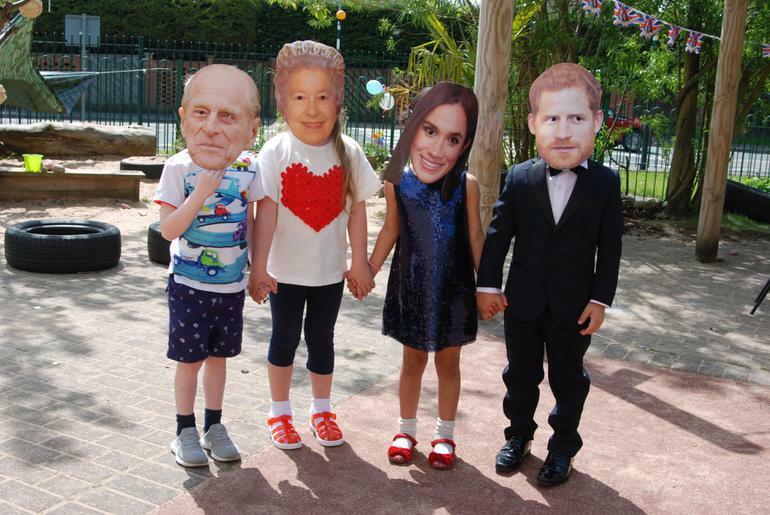 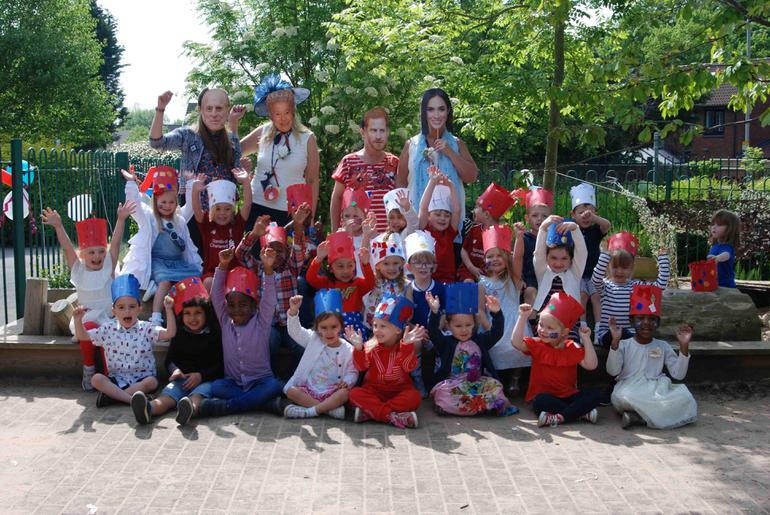 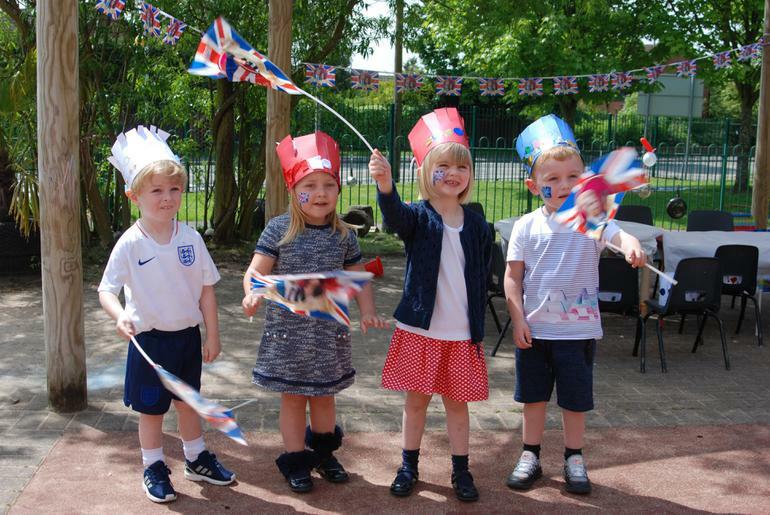 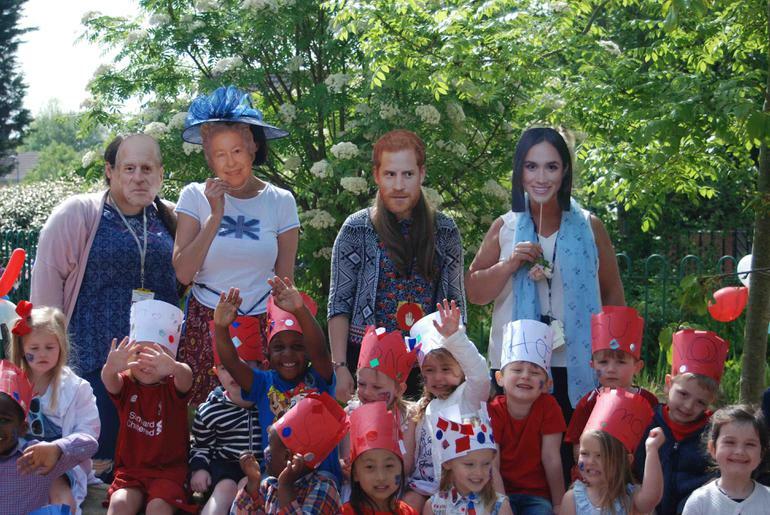 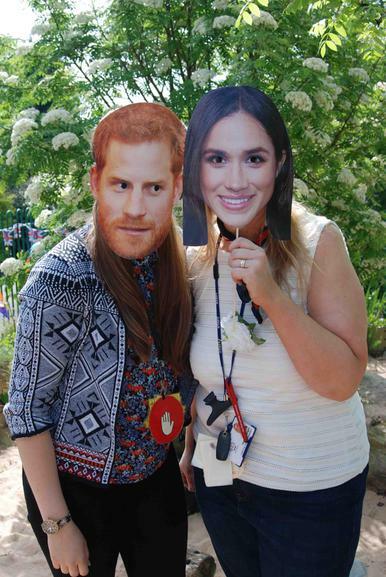 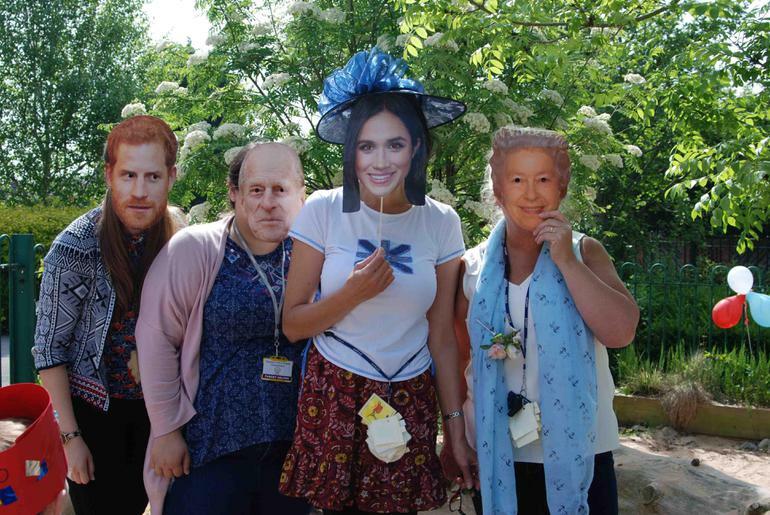 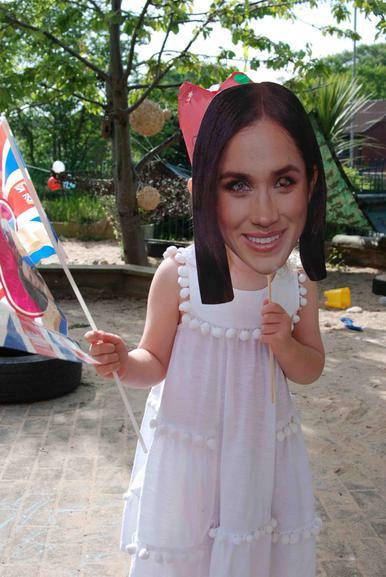 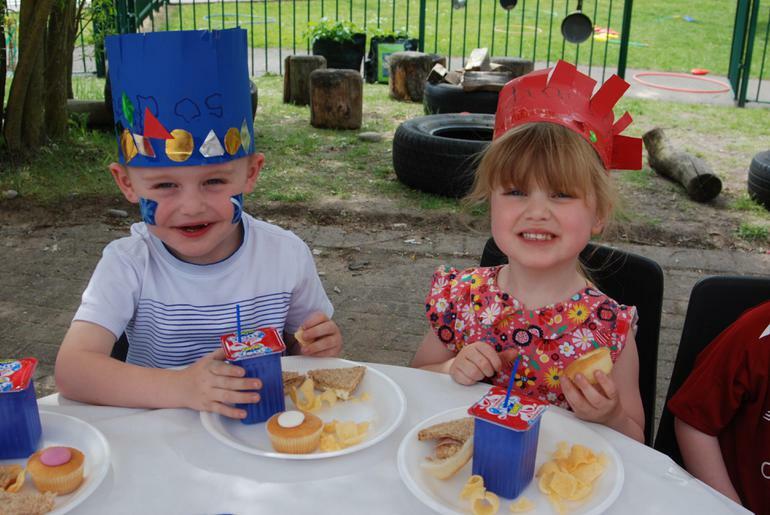 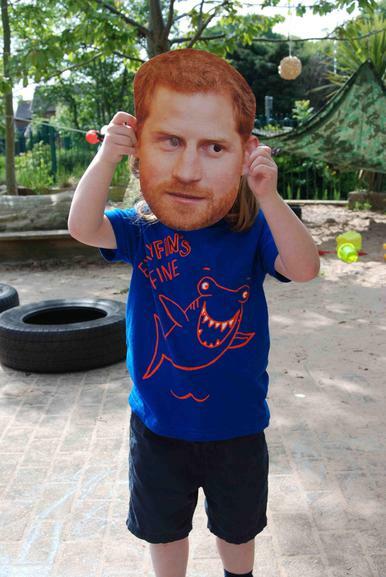 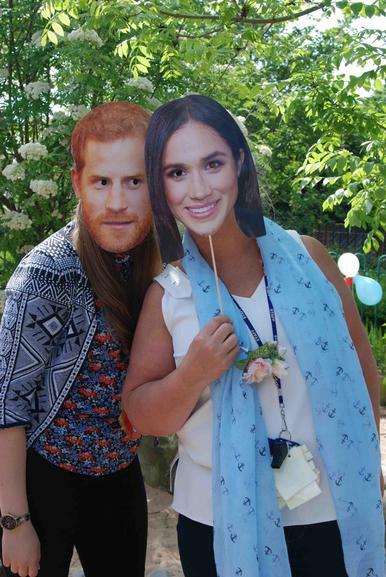 The children had fun playing, eating party food and cheering in anticipation of Prince Harry and Meghan's wedding. 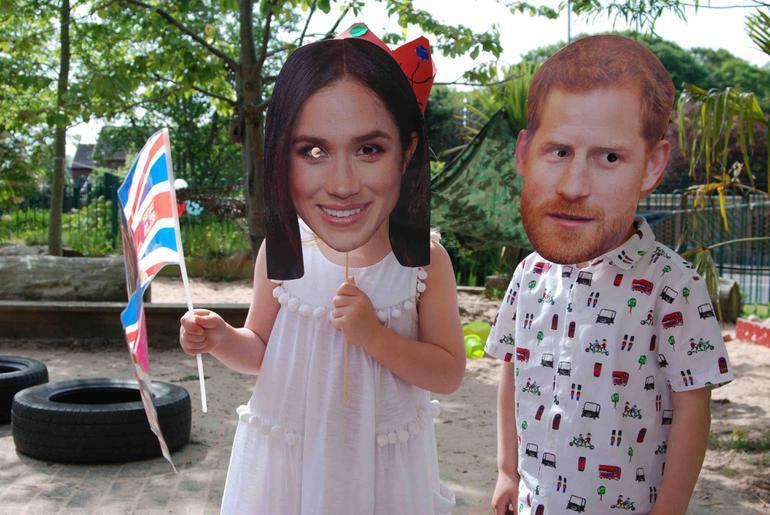 We watched a short video about the wedding on Expresso on the Clever Board. 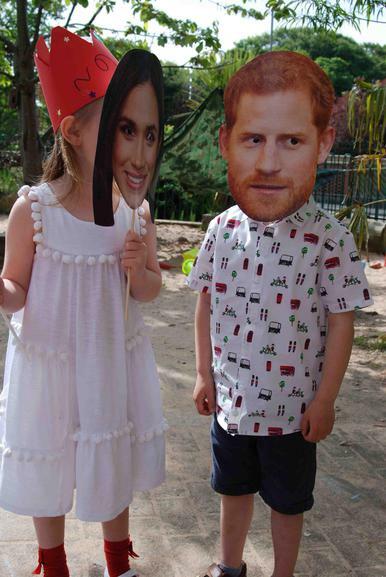 Harry was very excited that he had the same name as the prince!